A Washington, DC, bar is apologizing to the community for flying the black, white, and blue “Blue Lives Matter” flag; after hosting a meeting of gay police officers, reports say. On its Facebook page, a group called NoJusticeNoPride insisted that it would cancel any activities it had planned at the bar, Daily Caller noted. “Nellie’s Sports Bar is canceled. 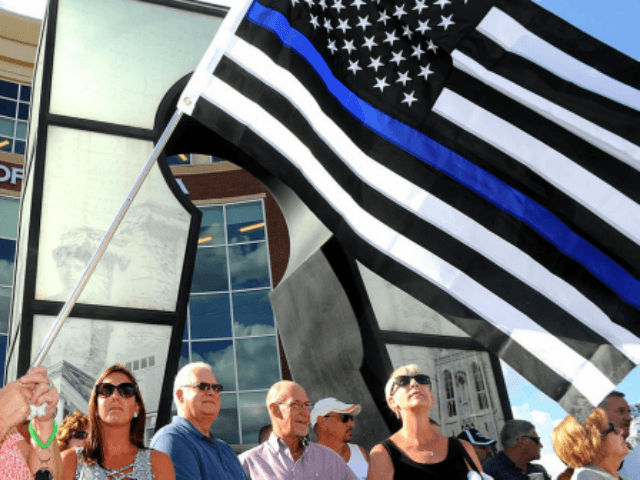 In the wake of the murder of Stephon Clark and non-indictment of the officers who killed Alton Sterling, they have the audacity to fly a flag that tells us they don’t value Black lives,” the group said. The bar quickly apologized for daring to fly a flag to support the gay police officer meeting. In a Facebook post, the bar owners said they had “learned” from the incident and promised to make the establishment a “welcoming space” for everyone.